We like to introduce you all to James. James started CrossFit at ChalkBox in June 2018. When he started he was already strong but was lacking stamina and mobility. Since June James has made a lot of progress. You will find him at the ChalkFit sessions working on long endurance workouts, his lifting form has improved a lot and his mobility is getting better. He also has turned into a gymnast as he is walking on his hands all day long. James never fails to support other members and has become an important part of our community. 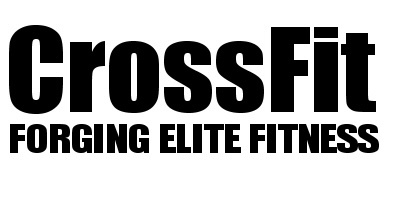 What activities did you do before you started CrossFit at ChalkBox? I've always been gym orientated, training a few days a week, mainly to get conditioned for playing rugby. How was your first session compared to now? “My first session..blimey was tough! From just just plodding in the gym to going flat out with movements I've never done before, certainly shocked the system, it took me a good few days to recover! Compared to now, my recovery is so much better, i feel like i'm as strong as I've ever been and I am improving week after week and I've just completed a 24HR AMRAP so i think that says it all! What is your biggest achievement so far since you started at Chalkbox? “I think my biggest achievement to date is completing the 24Hr AMRAP for sure the toughest thing i have ever endured, not just physically but mentally too! What has changed for you since you started at ChalkBox? and what is your next goal? “My attitude has changed, I've got the desire back to push myself harder and harder to go get those results! I also feel happier and have more energy in day to day life! My next goal is to get a muscle up, going to be working hard on that in the new year! James you are a joy for all members and coaches to be around in the Box. You are an inspiration to many and we love having you around. We can’t wait to see you do your first muscle up! Keep up the good work and the support you give to all of us!